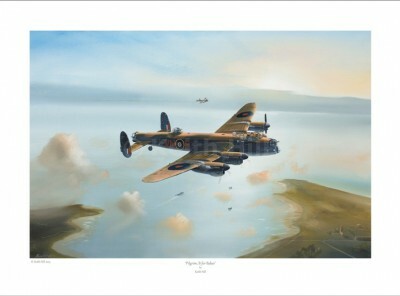 After another mission to occupied Europe, Lancaster, call sign Pilgrim B, Baker is safely home. 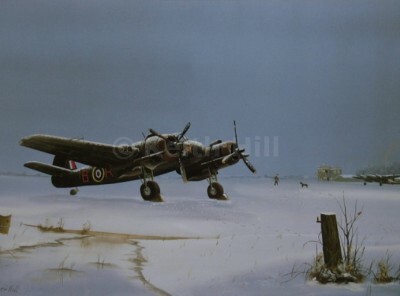 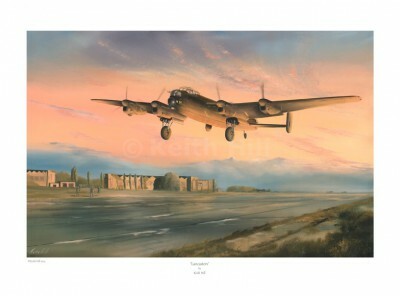 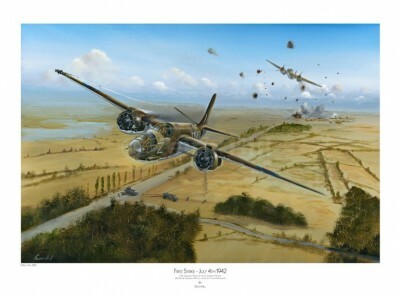 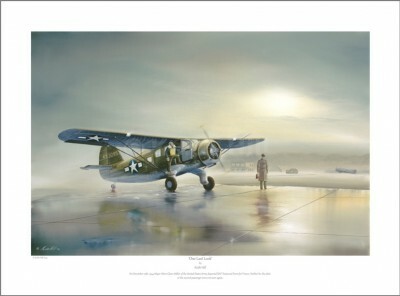 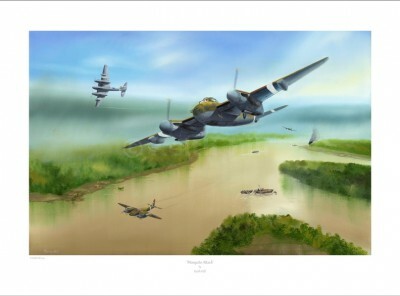 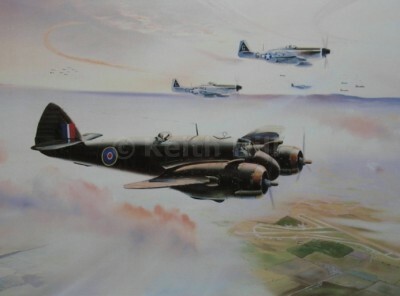 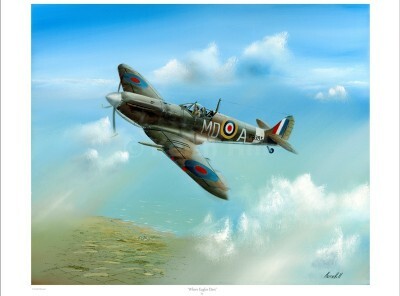 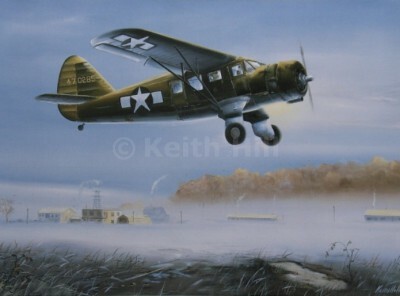 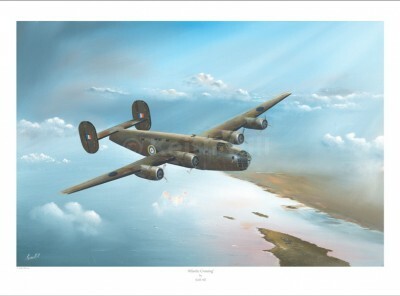 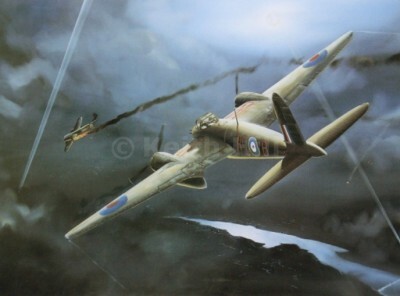 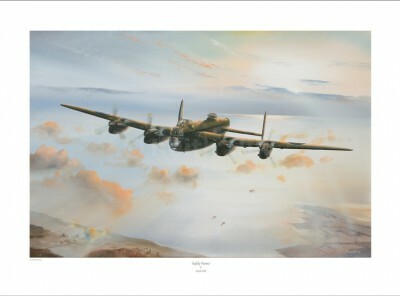 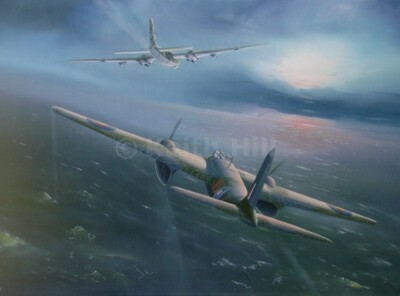 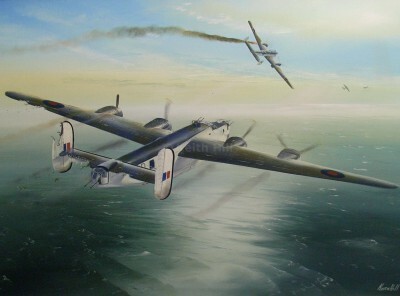 Each print comes with the signature of the aircrafts Wireless Operator W/O Reg Payne. 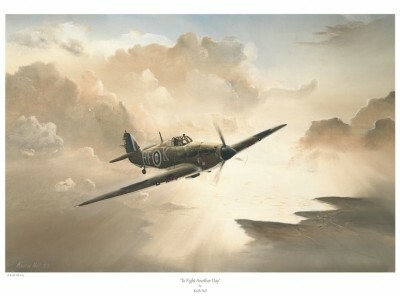 Spitfire ‘Impregnable’, purchased by Rushden boot and shoe manufacturer John White and his employees, depicted when flying with No. 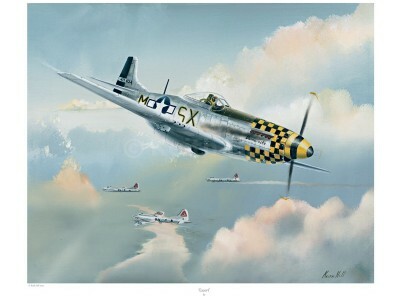 133 Sqd, of the Royal Air Force, one of the 'Eagle' squadrons manned by American volunteer pilots.